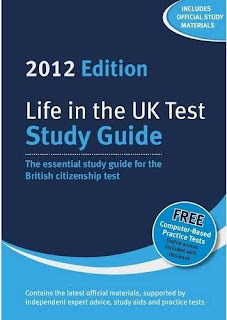 I may have mentioned it recently that I've been studying for a test that will allow me to become a British citizen? I've lived in the UK for the past (nearly) 13 years and when I moved here, I was told that I would be naturalised automatically if I lived here continuously for 10 years. But 7 years into that period of time, the government changed the rules. New rules state that I'd have to pass this Life in the UK test. So I bought a book, I never opened it. The test changed to something else and made my book obsolete. I bought another book, I half-heartedly read some of the material. What made the test more ridiculous than ever was the practice tests that were included in the back of the book... I did some of them with N. (and N is a British citizen, born and raised!) And N and I managed to pass and fail the same amount of these practice tests. 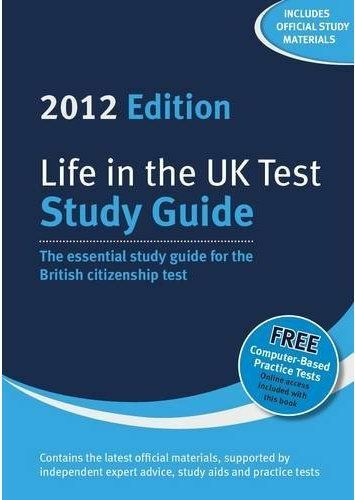 Because some of the questions the government expects me to know is knowledge that most British citizens doesn't have! I'm going to include some example questions below, see how well you do! A couple of weeks ago, I did finally book my citizenship test and managed to make it to a testing centre. Despite feeling fairly well prepared beforehand, I was very nervous. I always have some light test anxiety, but I was really stressing the morning of my test. For no reason, as it turns out, because I flew through the questions in a record time, was the first person to complete the test and therefore was the first person to be told that (after filling in more paperwork, paying an exorbitant amount of money and attending a citizenship ceremony!) I was one step closer to becoming a British citizen. So, well done me, hey? I'm quite proud of that and I will soon be a happy dual-citizen like my two beautiful boys. Each test comprises of 24 questions. You can get no more than 6 questions wrong in order to pass. This isn't a proper practice test that appears in the book though they are all questions from the book, I'm just picking out the harder questions as a challenge to you all! :) I'm going to cut it in half and only give you 12 questions and allow only 3 wrong answers. Let me know how you did! Highlight the bit next to 'ANSWER' to see the correct answer! no.10 is C, right? Other than that one, I had no idea of the answers for any of the questions! And yes, I'm British! No, 'fraid not! It's actually B) 1918. In 1918, women over the age of 30 were given the right to vote and then 10 years later, finally both men and women of equal age (21) were given the right to vote. I did choose particularly hard questions! There are a bunch of easier questions that most people would know like, when is Christmas celebrated? Where does the Prime Minister live? What does 'NHS' stand for? that sort of thing. But also so much of the practice questions I had to review were of statistics and numbers and dates and horrible things. I only knew the answers to 2 and 10! Wow, I'd only be able to answer two of those questions: 10 and 12.